The Mount Washington Cog Railway is getting into the holiday spirit by offering visits from Santa, hot mulled cider and doughnuts. For the next two weekends, visitors taking the train up Mount Washington can check out the fresh white stuff as they make their way to Waumbek Wonderland. At the halfway point of the hour-long trip, passengers can get off to take photos of the snow-capped peaks and spend some time around an outdoor fireplace before heading back down to Marshfield Base Station. Once back at Marshfield, Santa will also be offering gifts to children and families visiting the great room can enjoy a reading of "The Little Engine That Could" and ornament making. 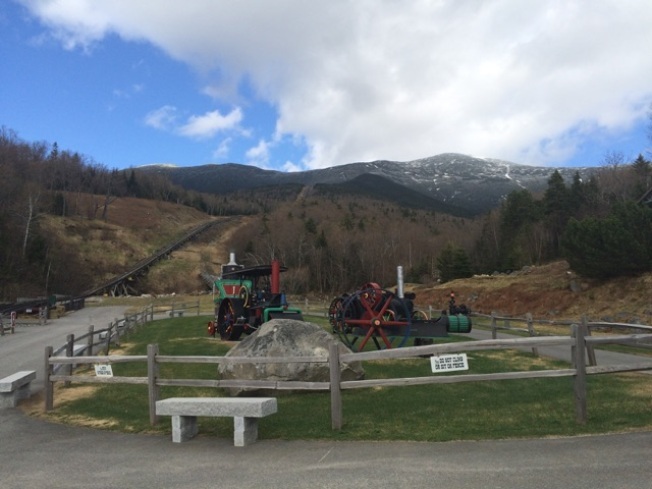 The Mount Washington Cog Railway is located about six miles from Bretton Woods and Route 302.